This graphic novel reads like a cartoon in the making. Its panels race into each other. With Action and Adventure as the reader’s guides (and the story’s primary themes) the reader’s pace takes off at lightning speed from the first page to the last page. When a famous 21st century family known for being the “First Family in Space” crashes on an alien planet none of their ideas for survival seem to work. Until they happen upon Kid Savage. Surviving on his sheer inner might, fighting skills, and witty nature Kid Savage doesn't need any fancy or expensive technology to survive. He only needs himself - and so do Gerard, Alina, and Ethan! They just don't know it yet. With communication and cultural barriers between them the First Family in Space and Kid Savage must now accept that they are on parallel paths. Together they must learn to live. And to live is to love, some might say. Despite their different planetary background stories, Kid Savage and the First Family in Space will need to redefine what it means to be a true family in the face of some very real (and some alien!) obstacles. Plot: Kid Savage and the First Family in Space seem destined to cross paths, and when they do one alien planet will never be the same. 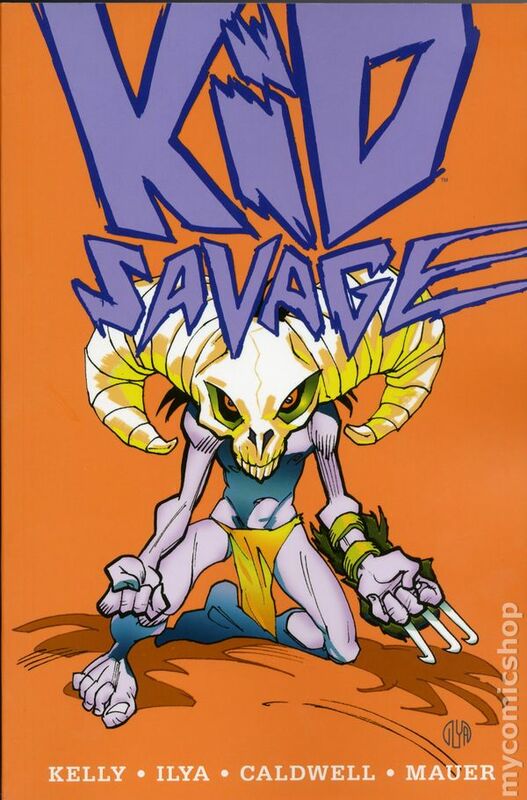 ** A Common Core Standard for High School is used because Kid Savage is appropriate for both high school and middle school (both of which are covered in the standard above). Directions: At the beginning of the story each of the major characters (Kid Savage, Gerard, Alina, and Ethan) behaves very individually. Due to their circumstances on the alien planet and their need to learn from each other to survive, however, the characters’ point of views on their individuality change. What is said or shown is not always reflective of the inner growth of each character. For that reason, the below prompts ask students to not only identify what the images show and the words reveal, but also how the images and words reflect each character’s understated inner growth. In the space below analyze how each of the major characters face two - three major obstacles in the story that reflect inner growth. To document this inner growth, identify character-faced obstacles in the story with one or two words (at least two incidents per character), explain the words and images that best explain the obstacle, and then, lastly, discuss the inner growth or result of the character’s choice to face the identified obstacle. Culminating paragraph reflecting on and linking each major character’s individuality at the beginning of the story to their progressive family attitude at the end of the story.